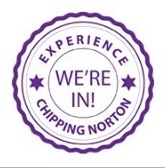 As you may know Chipping Norton Town Council has a plan to build a really good skate park in the town, however the project has been moved to the back-burner because of an apparent lack of interest indicated by low amounts of feedback from the summer consultation days and a subsequent Town Council questionnaire. Having spoken with the Mayor and Town Clerk, I am running a further questionnaire to hopefully reach the voices that the project needs to hear from. The questionnaire started circulation earlier this week and the deadline for completion is 6 April. The skate park only has a chance of being built if enough people say that they want it to go ahead. The questionnaire can be downloaded in this link CNSPquestionnaire or requested electronically by email at CNskatepark@outlook.com; hardcopies are available at the Leisure Centre and Guildhall. People can return the questionnaire by email at CNskatepark@outlook.com or hardcopy (at the Leisure Centre and Guildhall, which have dedicated postal boxes for the feedback). Thanks for re-circulating this. The trick will be to get this out to the skaters themselves and get them to circulate it via instagram etc. Skaters are not natural visitors to the Town Hall or completers of forms and questionnaires so it doesnt surprise me that there was a low response. What other ways has the council tried that I maybe have missed? How about getting the skate shops in / around oxford to promote it? Is there an online group that the users of the new (2013) skate park in oxford have? Could they support or promote it? What about schools? The leisure centre? My gut says that unless the town council tries a different approach to connecting with the people the skate park is intended for, then they will get a ‘low response’ and assume its not wanted. My son (age 12) and his mates would love it and I will fill out the form on his behalf. But most of the folk this would benefit are unlikely to hear or see anything about it at the moment, which is an awful shame. Really good points made Karen – thanks. This is not a Town Council questionnaire. I am a mum of two young boys in Chipping Norton and am trying to get more feedback on the skate park for the reasons you have stated – having discussed with the Mayor and Town Clerk the status of the plans. The intention is to get as much feedback from across the town and close surrounding areas as possible and that’s why there is a new questionnaire to hopefully reach more people than before. I am in touch with some local skaters who are circulating the questionnaire also, and I hope that people will share and pass on to friends and so on. I have approached schools with varying degrees of success and other community and activity groups. The Leisure Centre have been positive and the questionnaires and postal box are prominent on Reception, More still to do, so the more people can pass on the word the better. Thanks to all who have given feedback to date. Please continue to do so. Thank you. Where was the planned or thought of idea to put the Skate park .? Perhaps that might be the reason or part of . Iff too far out of town and main roads to cross.I thought the common would be the place as a lot of open ground and by the amount of youngsters there . yers ago well a few the common used to have football matches there . not any more . Just my thoughts . The Council had suggested Greystones as there is space there and they own the land. The Council is also looking at New Street recreation area as a possible site. Some people do view Greystones as too far out of town, but it’s a short walk from the Leisure Centre and the School, and the housing development at the top of Burford Road is extending the residential aspect to directly opposite Greystones. The speed limit will be lowered there, a path built on Greystones side and pedestrian-crossing stations in the road will be built. So access to Greystones is going to improve and for a small and compact town, won’t that be a good thing? Why not make more use of the space at Greystones? And improve the Greystones site? Getting across Chipping Norton anywhere requires crossing a main road or two. All feedback and suggestions welcome via the questionnaire which will be recorded and results presents to the Town Council. Thank you. It does make sense with Grey stone s I admit . But in what area ?as most of us know the field used for Football does get Flooded a lot it always was if a lot of rain . I am trying to Visualize .IFF it comes about . a council recycling area and then a SKATE PARK so what will happen to the FOOTBALL PITCH ? ?as a skate park is not a small are as I have seen . As many people in Chipping Norton know I am a firm believer in getting things done for our Young Population of our town .I want to see a lot more done for them ,BUT at the end of the day its THEM that must come forward to say WHAT THEY want all round . so come on you young ones or older ones ,with you I have done it before and got what was wanted . .In Cornish Road Play park .